Members of Likud's central committee vote on proposal to extend Israeli sovereignty over Judea and Samaria. Some 1,500 members of the Likud Central Committee voted unanimously Sunday night in favor of a proposal to extend Israeli sovereignty over Judea and Samaria. 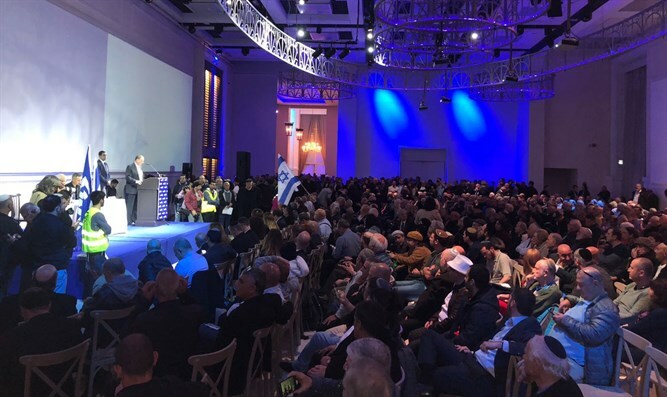 At a special party meeting at the Avenue Conference Center near Ben Gurion Airport in central Israel, roughly half of the party’s 3,000 central committee members gathered to debate the first major change to the Likud platform since 2005 which was pushed by popular demand, rather than the party chairman. While symbolically important, the change to the party’s platform does not directly affect the policies of the ruling Likud faction. In 2005, central committee members succeeded in pushing a vote against then-Prime Minister Ariel Sharon’s planned disengagement from Gaza and parts of northern Samaria. Despite the vote, however, in August of that year, the Sharon government carried out the planned withdrawals, dismantling a total of 25 Israeli towns. While some top Likud officials, including Prime Minister Binyamin Netanyahu, did not attend the event, supporters of the move addressed the gathering, including Jerusalem Affairs Minister Zeev Elkin, Internal Security Minister Gilad Erdan, Labor and Welfare Minister Haim Katz, Deputy Foreign Minister Tzipi Hotovely, Transportation Minister Yisrael Katz, Science Minister Ofir Akunis, Jerusalem Mayor Nir Barkat, Knesset Speaker Yuli Edelstein, and MK Sharren Haskel. 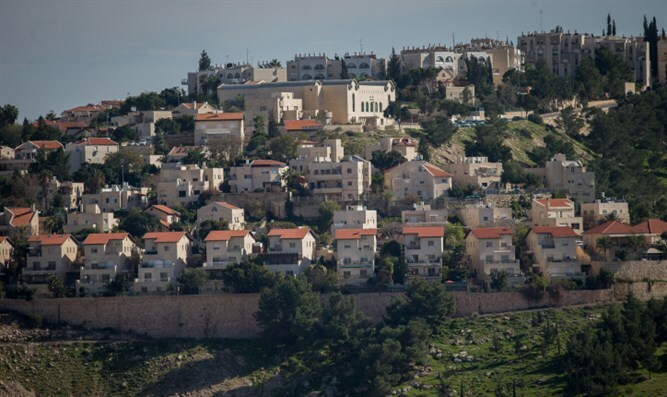 “Fifty years ago we liberated our ancestral homeland, Judea and Samaria, greater Jerusalem, the Tomb of the Patriarchs [in Hevron], Rachel’s Tomb [in Bethlehem], and the Western Wall,” said Minister Haim Katz ahead of the vote.